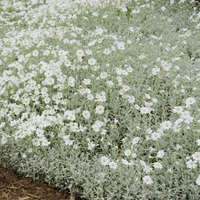 Saponaria is a sprawling plant which forms a nice carpet of semi-evergreen foliage. 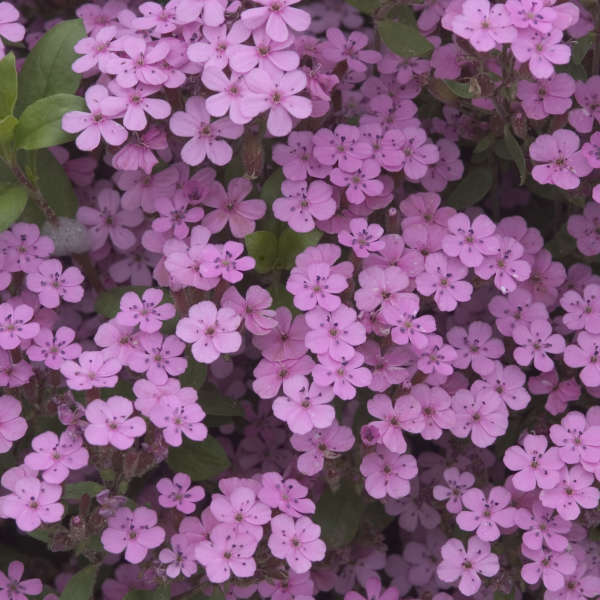 Small sprays of pink flowers appear prolifically in early summer. 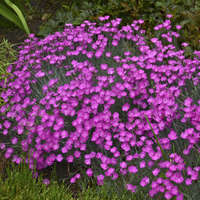 It works well in a rock garden, as a groundcover, or between stepping stones on a path. The common name, Soapwort, refers to the sap from the roots of S. officinalis which was once used to make soap. 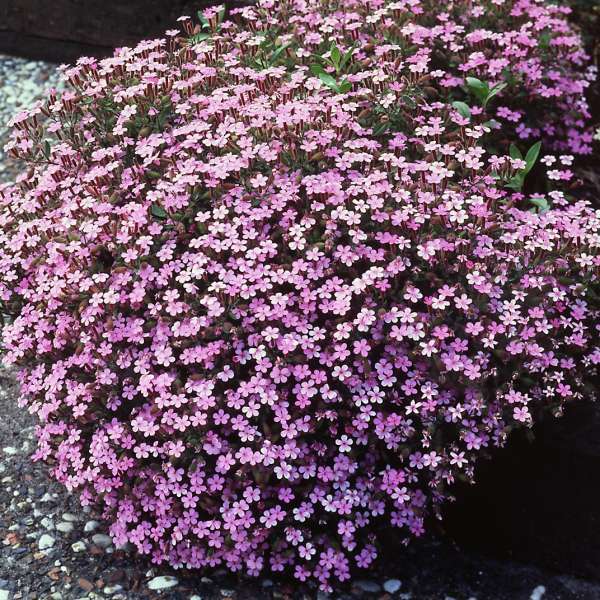 Saponaria prefers full sun and average to dry, well-drained soil. 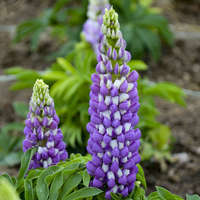 Cut plants back by about half after they are finished blooming to maintain a compact habit. 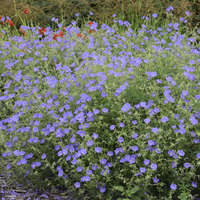 This may also provide the added benefit of sporadic repeat bloom in late summer.